When Jesus showed Himself again to the apostles the third time, He was far, standing on the beach. He asked them if they have caught any fish since it was getting dark, to which they answered, None yet. He tells them to cast their net on the other side of the boat. They caught so much and their nets couldn’t handle it. Do we see Jesus in all our undertakings? Is it too dark due to sin and pride, that we are unable to see Him, hear His word, and refuse what He is saying to us? Look closely, it is Him with you now. Jesus presents Himself to the disciples with all his wounds, and they were terrified ! The fear they had when He first showed himself to them is now replaced with joy and hope. The Lord has truly risen and will remain with them til eternity! Even now, He is with us, in our Tabernacles, in the Holy Eucharist. 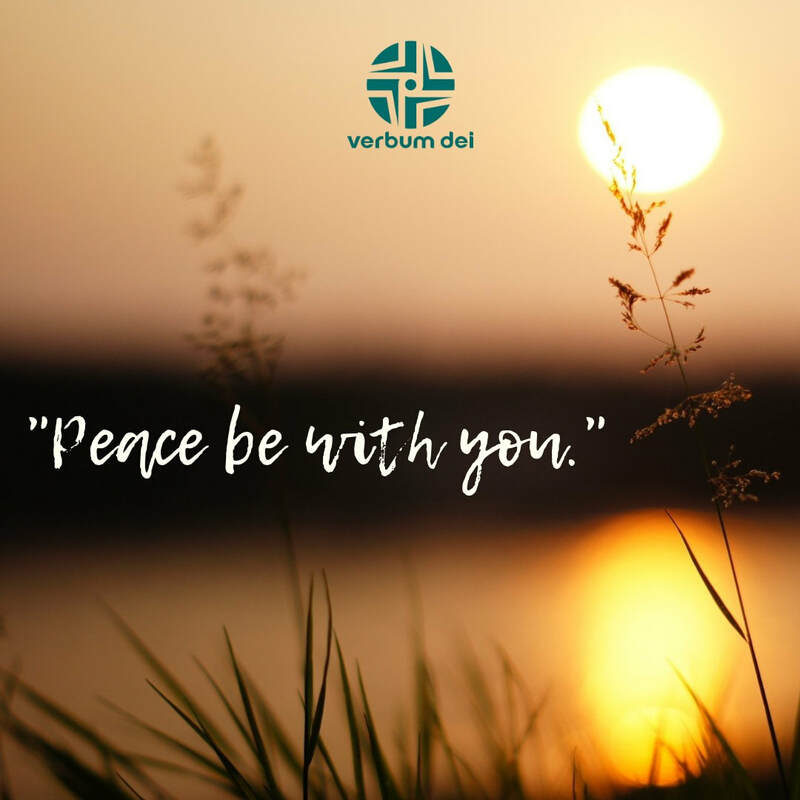 Our hearts are at peace knowing that He is constantly with us, constantly available wherever we go. Let us visit Him on every occasion in the Blessed Sacrament. We ask Mama Mary to teach us her fidelity to Jesus. 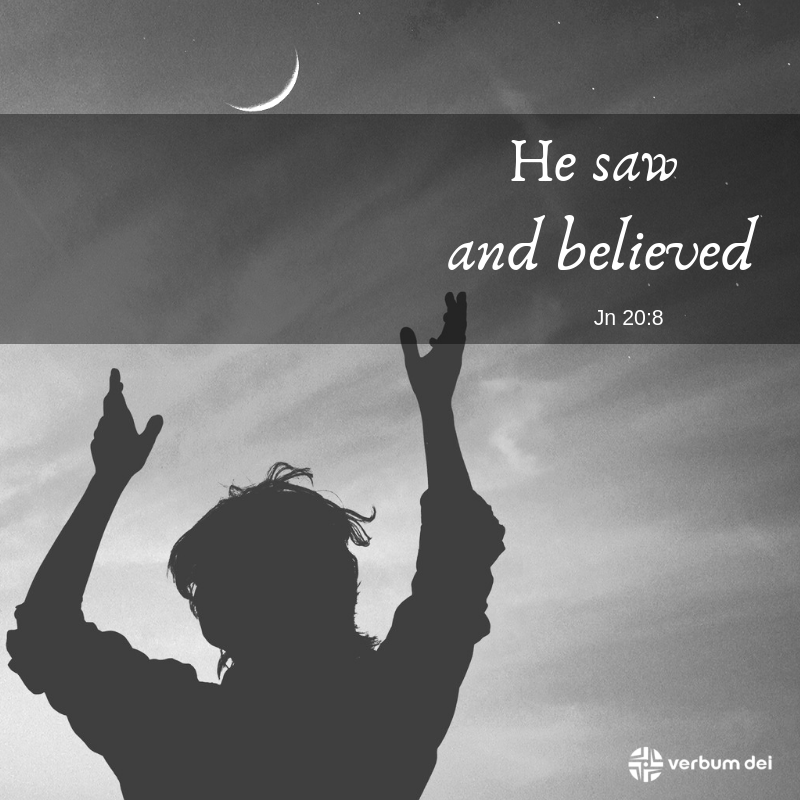 When Jesus started to speak to these two men about the Scriptures, they were enlightened, which brought back their faith and hope, their joy and love. Before which, they were discouraged by the Crucifixion and death of Jesus. They thought they have lost all hope. Let us keep turning back to the Lord once we feel that we are losing hope. 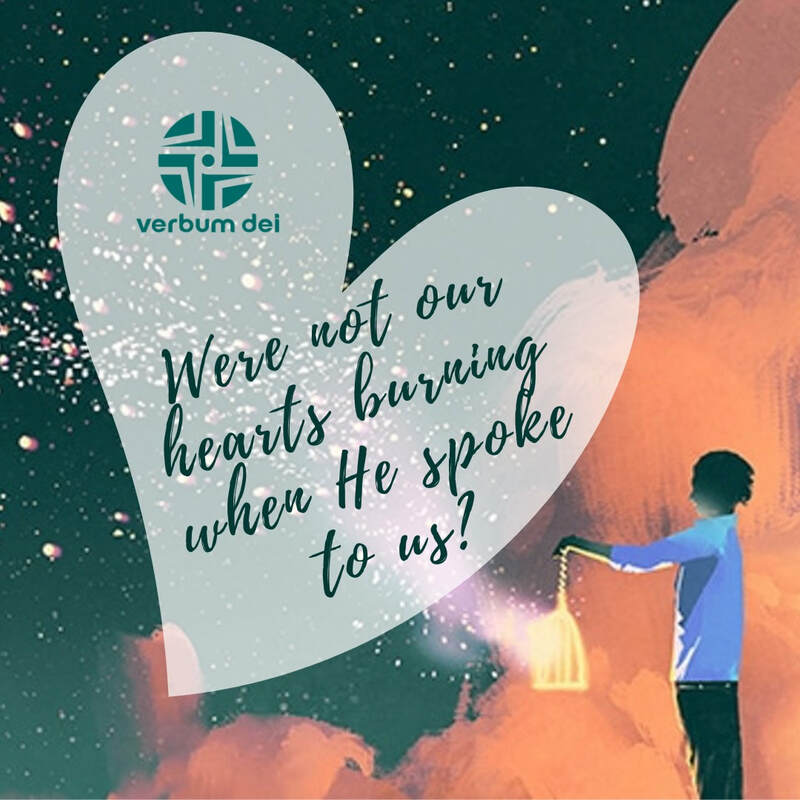 Let us keep opening our hearts and let Him inflame us again and again. We need to be faithful and we will be showered with all the blessings and graces He sees fitting for us. Stay with us, Lord, in our moments of darkness that we may not stray from You. 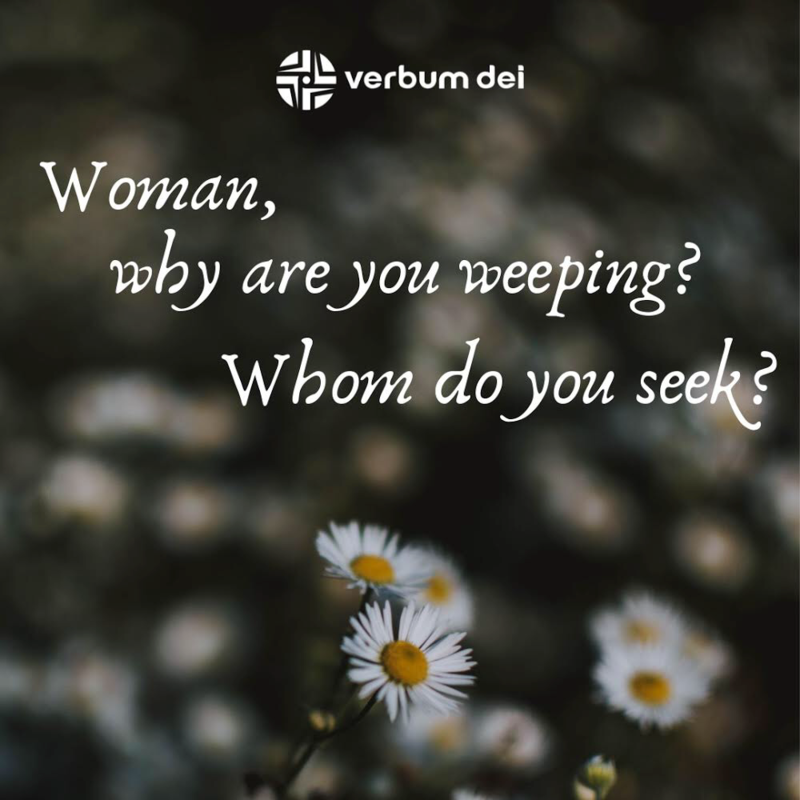 When Jesus appeared to Mary Magdalene, she was crying so deeply, her sorrow and tears blinding her so that she didn’t recognize Jesus standing in front of her. But when He calls her name, she immediately reconizes the familiar voice and she falls to His feet with joy. 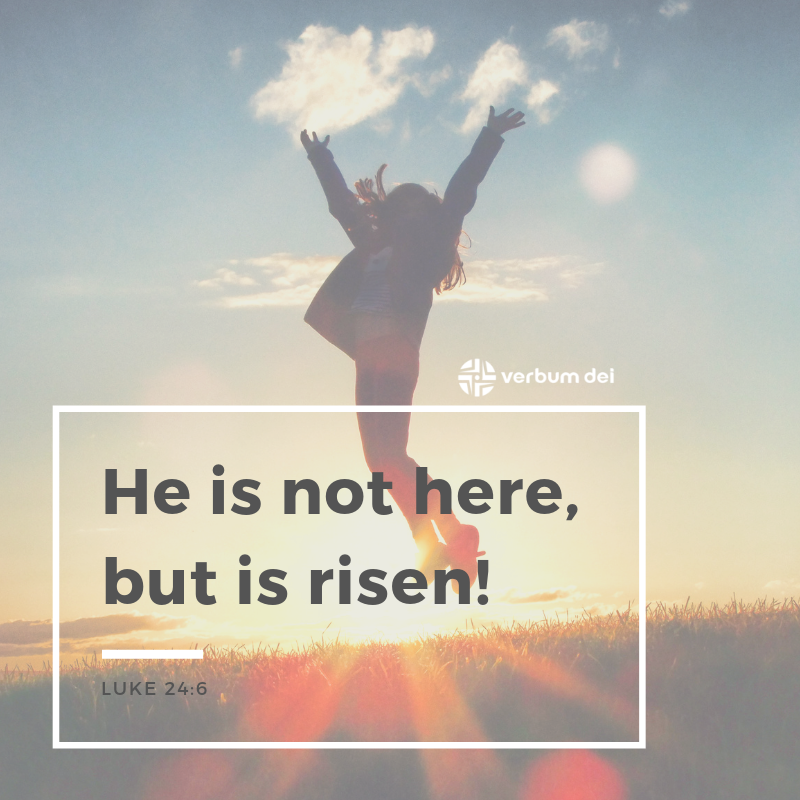 Christ is alive! He continues to live in our midst. He calls us by our name, do we hear His familiar voice? Is our vision clouded by doubts, fears, and tears? Do we seek Him at all times, sad and happy times? Let us be like Mary Magdalene who devotedly sought the Lord. Let us ask Mama Mary’s help for us to persevere until we find and rest in Him. Rejoice for the Lord has Risen! Tis the season of joy.. “I will give you joy which no one will take from you...” (John 16:22) There’s joy when we know that at all times, as long as we cling to Him, we have a refuge who will not forsake us, feeling secure despite trials, like lifelong friends. Let’s call on Mama Mary to help us find hope and grace in this season of joy! Today we celebrate Easter Sunday, when Jesus had risen from the dead. Today’s gospel reveals that Mary Magdalene discovered Jesus body missing in the tomb. She told the disciples, but they were hesitant to see it for themselves. Later, they went one by one and believed what they saw. Today, we are invited to let our faith witness the risen Lord in our life. Let the renewal and newness that we received from this one week of intense prayer and reflection be our living proof to believe that Jesus won over us. Jesus lives in our hearts and will continue to reign in our life. When we miss someone we love or close to us, we miss the most their physical presence. In the gospel today, after Jesus died in the cross, he was buried and placed inside a tomb. However, his body cannot be found. Life is not bounded in the physical world and life doesn’t end with death. Jesus invites us to reflect on our lives and how we focus ourselves with the material things that satisfy us. He wants us to reflect how we can live our life with newness in our heart. 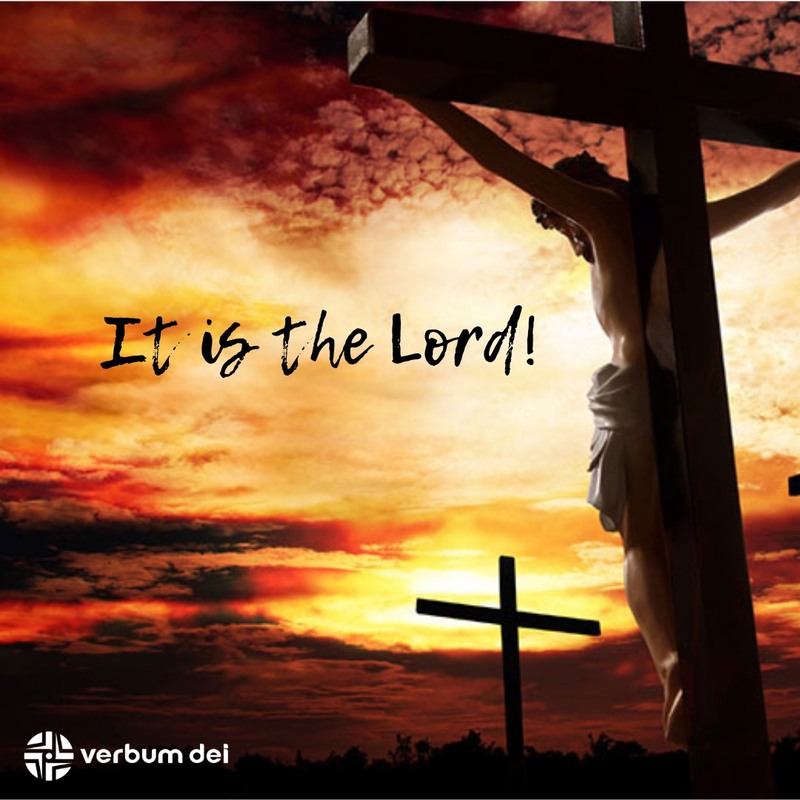 Today we reflect on the Passion of Jesus Christ on the way to the cross. In the gospel, Jesus clearly knows and is assured by the Father that everything that was happening, no matter how painful the betrayal and denial, it was because he was fulfilling a truth that must happen. Jesus life is a testimony of how God the Father showed his eternal love for us, His people. 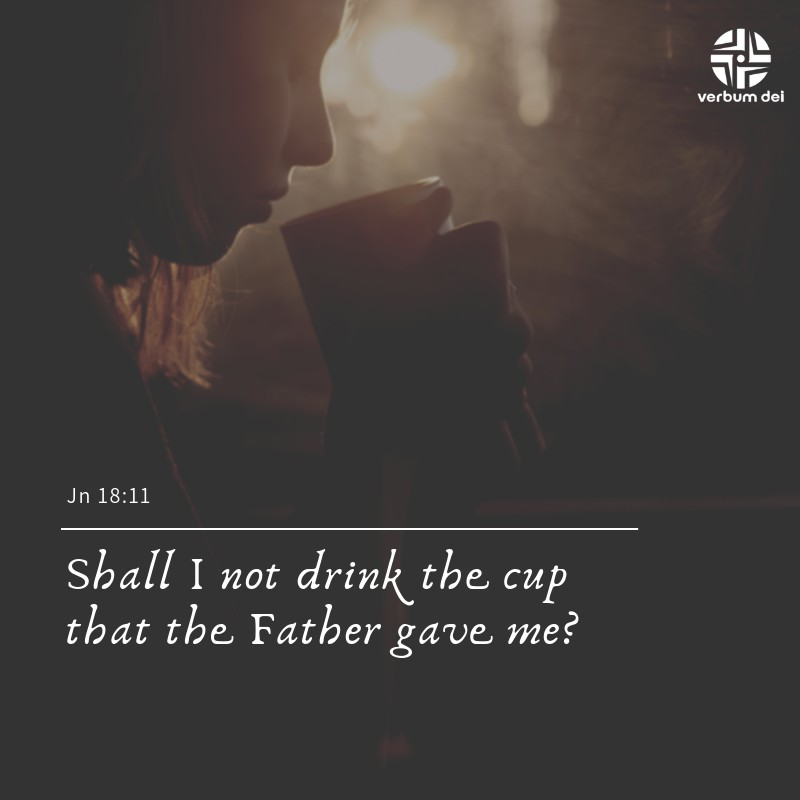 As we reflect and pray on Jesus passion today, let us ask ourselves how have we drank the cup that God the Father gave us? How have we lived our Lenten journey walking with Jesus? The Washing of the feet is one of the common traditions being done during Holy Week. 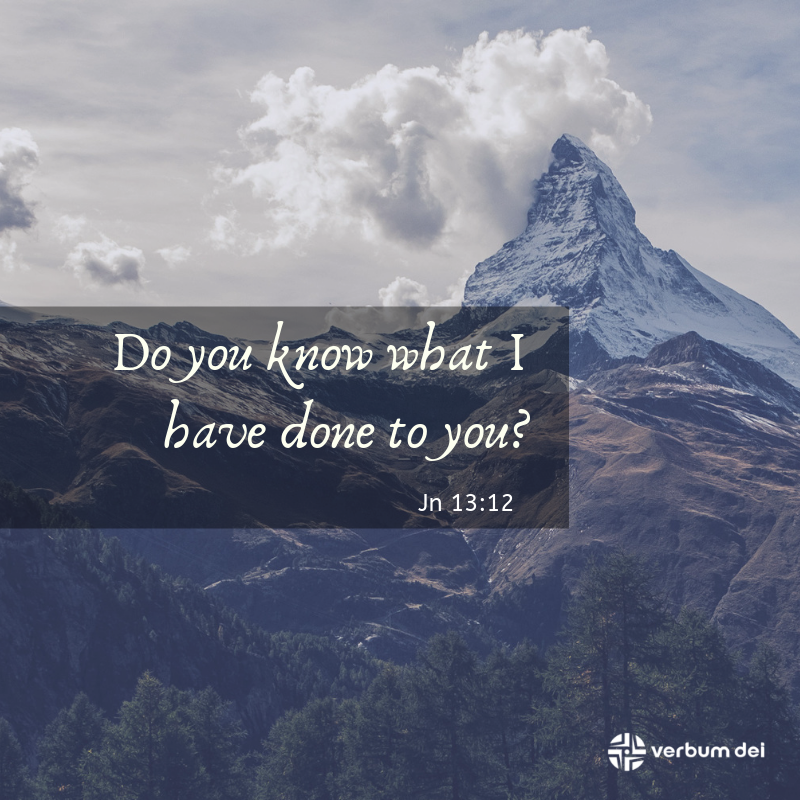 In our gospel today, Peter wanted himself to be washed by Jesus for his own intentions. Today, we are invited to deeply reflect in the real intention of Jesus why he desires to wash our own feet. He wants us to do the same to other people. The experience of love from Jesus should reach other people who are needing it right now. Mother Mary, we entrust to you concrete persons whom we want to experience and receive God’s gracious love and fullness of mercy. Amen. Defensiveness or denial are some of the “defense mechanisms” humans do when one is guilty of committing wrongdoings. 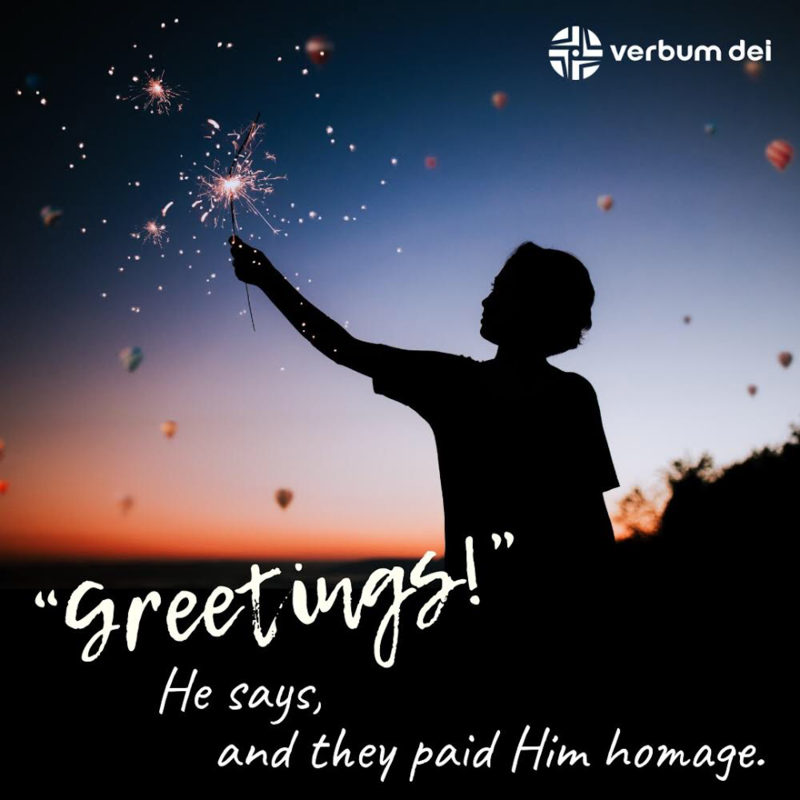 In the gospel today, the disciples were “deeply distressed” about Jesus talking about the betrayal involving one of the disciples. In our daily life, Jesus continuously invites us to go back to him and join him in the table despite our imperfections and errors. 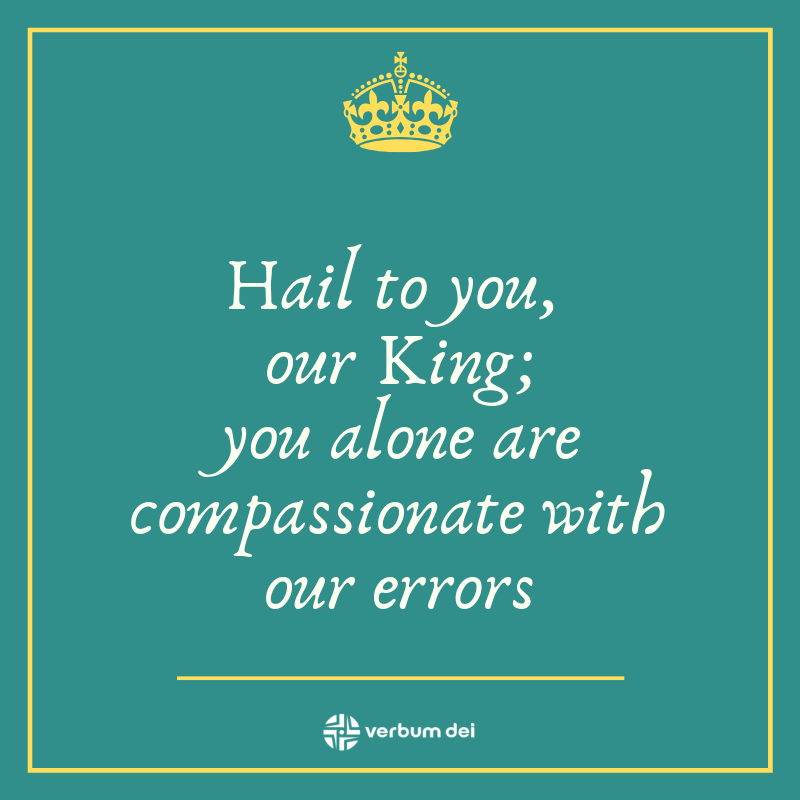 Jesus is a compassionate King of all. Mother Mary, we pray for your accompaniment to light our path walking towards Jesus.